ROLL out dough on a floured surface and place on a 26cm large, lightly floured pizza tray. 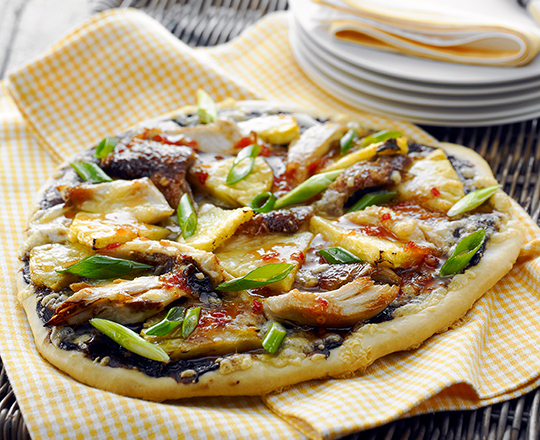 Spread with VEGEMITE and top with chicken, pineapple and cheese. Bake in a hot oven 200°C for 10-15 minutes or until cooked through. Toss over the spring onions and drizzle with sweet chilli sauce. Serve immediately.